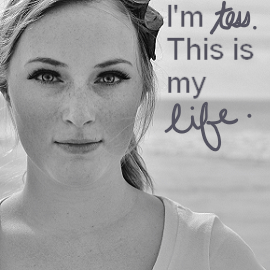 This was a project that came to mind a loooong time ago - before I was even pregnant. 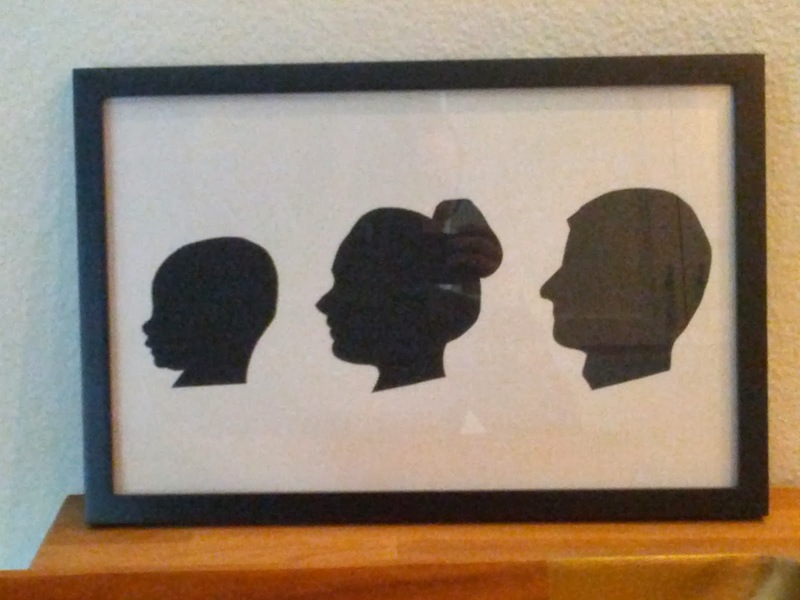 I had wanted to do some silhouettes of myself and Conrad and hang them somewhere. I couldn't figure out the easiest way to do it, though, so it sat in that file cabinet in my brain where stuff like "buy an apartment complex" and "become a millionaire" sit. It's the "I'll get to it later" file. Skip to a couple years later, this last Christmas, in fact. Conrad got me a Wacom tablet which has been the saving grace of my online life (and much of my creative life, too). It's a pad with a stylos that you can draw/write with and it will be like you're drawing onto the computer directly. It's WAY easier than using a program like Photoshop or Illustrator (I considered adding "learn Photoshop once and for all" to my list of professional goals for the new year, but decided against it because I like not murdering everyone). It's about as simple and intuitive as MS Paint, but with more realistic and artistic end-results (looks less Paint-y, I guess). You have a lot more control with the stylos than you do with a mouse or [cringe] a track pad. If you're like me and cry every time you open Photoshop or Illustrator, get one of these tablets. The Small Tablet costs about five times less than the advanced Photoshop programs, so there's that, too. 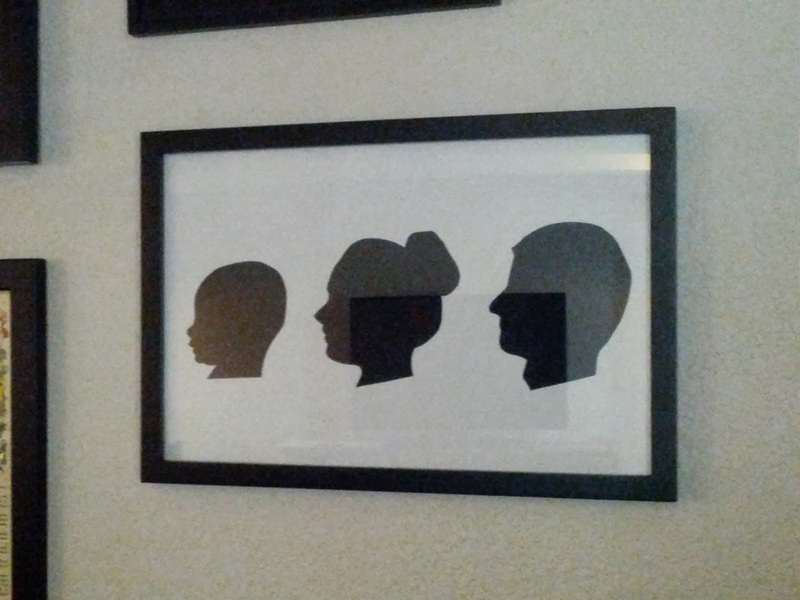 To make the silhouettes, I took profile pictures of all three of us and uploaded them onto my computer. Using the software Artrage with my Wacom tablet, I traced the images and saved them. From there, I just printed the traced images (so easy, and uses way less ink than printing the image and tracing it by hand), cut them out, then traced them with pencil onto black cardstock. 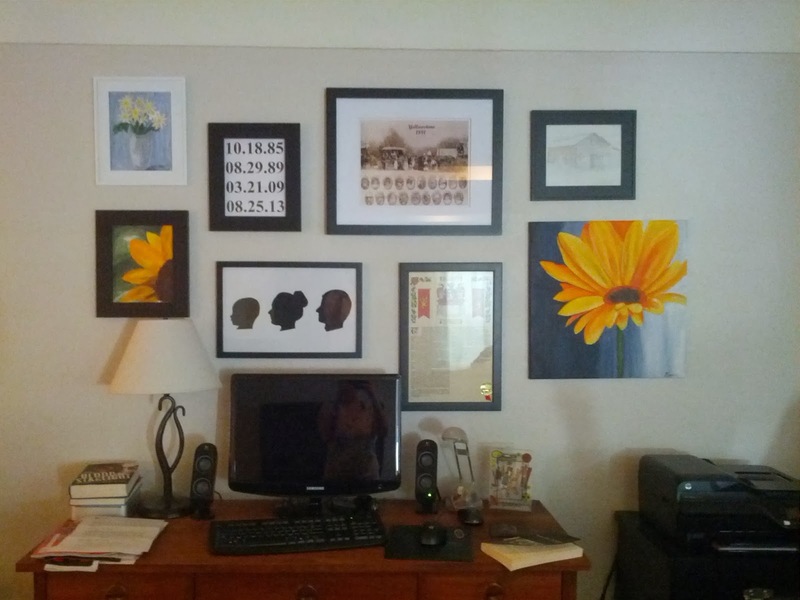 I cut those out, and mounted them with tape to white paper, then framed it (I contemplated framing each face separately but decided on a single 11x17 frame like this one) and hung it on our gallery wall. This is Project 2 in my 25 Projects challenge. I am attempting to complete 25 projects this year. Contact me if you are interested in sponsoring one of the projects or featuring an item on the blog Craft supplies, handmade items, and home decor are encouraged. 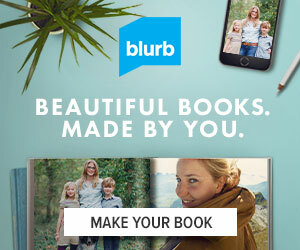 This was not a sponsored post, but links throughout are affiliate links. One more word about Wacom tablets. I've not only used it to redesign my blog and do creative projects, I have also used it professionally. Conrad has started a few separate online services, and I've created some images for those websites (if I still haven't convinced you to get one, call it a business expense and write it off!). I highly recommend a tablet over trying to use a track pad or even a mouse to create images on the computer. Click any of the Wacom tablet links to explore more. Love it! Thanks for posting! Truly a great way to decorate. I think simple wall silhouettes (with class) can really add life to any room. I recently bought some wall silhouettes (safari animals) from www.LifeSizeSilhouettes.com to dress up my boy's room. Not that expensive and what a difference! I was really pleased with them. Keep up the good ideas!